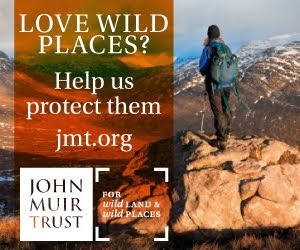 The Scottish Wild Land Group, founded in 1982 “to protect and conserve wild land throughout Scotland”, looked as though it might be fading away last year due to a dearth of volunteers to run it (and I have to confess that despite having been a member for many years I was one of the many without the time to help). Happily new people did come forward and the organisation was able to continue. Now the first edition of the SWLG magazine, Wild Land News, has appeared and it is excellent. Published just three times a year Wild Land News carries in-depth articles that are usually worth reading and studying. The theme of the Summer 2009 issue is rewilding (a neologism I am not very happy with but guess I have to accept) and the features on this are thought-provoking and stimulating. Peter Taylor, author of Beyond Conservation and a founder of the Wildland Network, looks at the very different approaches of Alladale, Trees for Life and Carrifran Wildwood. Taylor feels that all three have something to offer, though his description of Alladale suggests it will have a negative not positive effect as the whole philosophy behind it is wrong. I was happy with the article to this point but to finish Taylor writes about the need for the return of predators and goes into a somewhat fuzzy “new age” morass of thoughts that I find extremely off-putting. The idea that our souls are separated from “an abundant and forgiving earth-mother” and that the “inner worlds of …private religious experience” need to be “made whole again” are just high sounding but meaningless guff. 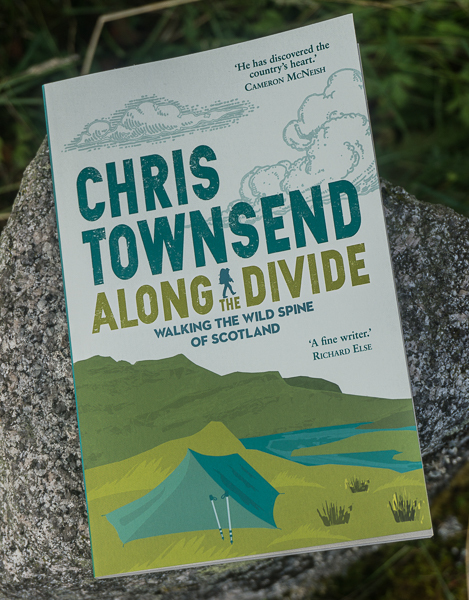 More down to earth is a piece by ecologist James Fenton entitled “The Scottish uplands: allowed to be wild” in which the author argues that wild land should be left alone rather than being managed with fences and planting and that it has always been more wild than many people think. “Letting things be wild means letting nature decide what happens”. I have a great deal of sympathy with this view. Certainly I think any management should be as minimal as possible, probably just restricted to reducing the artificially high numbers of grazing animals and reintroducing extinct ones. Continuing the rewilding theme there are two articles from two members of the SLWG steering group. Calum Brown gives a brief history of wild land in Scotland since the last ice age and looks at the possibilities for rewilding and the benefits it could bring. 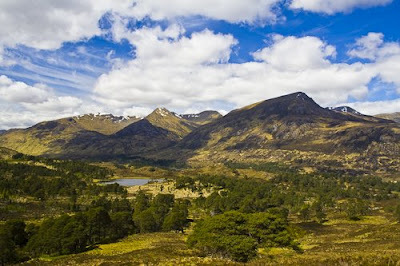 Moving from this overview to specific proposals David Jarman considers the idea of rewilding Kintail and Glen Shiel, a glen marred by ugly block conifer plantations. I’m impressed with this issue of Wild Land News and recommend it to everyone concerned about wild land in Scotland. The SWLG has a new website too, which is worth checking regularly. Photo info: Glen Affric, where the remnants of the old Caledonian pine forest are expanding due to regeneration and planting. Canon 350D, Canon 18-55mm lens@22mm, 1/80@f8, ISO 100, raw file converted to JPEG in Lightroom 2. I have heard James Fenton argue against the re-forestation of Scotland on the grounds of “Letting things be wild means letting nature decide what happens” during a lecture several years ago. He questioned the need (or or desire) to return to the natural state of one period in our country's natural history, ie the period about 6,000 years ago when the Caledonian Pinewoods were most widespread. He gave a very convincing argument, despite being a minority (or lone) voice in this field. I am sympathetic to James Fenton's views. I certainly don't think a particular point in the past should be picked as some sort of ideal state and I don't think we can return to any such time anyway. I would like to see grazing reduced and the land left, as at Creag Meagaidh, and then missing mammals reintroduced as the habitat becomes suitable. Sorry to depart from the thread of the the topic slightly Chris but I would just like to say what a brilliant photo that is. Aye, Chris, that picture is magnificent. It intimates what this country should be. But yesterday's announcement by the genius Ed Milliband prompt the question: where are those 6,000 more turbines gotta to end up?? How many glorious views such as the one you captured will be left by 2020 and beyond? 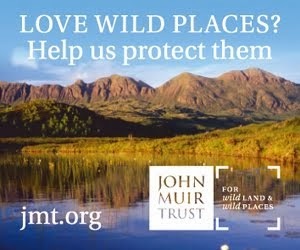 Andy, all we can do to protect wild land at present is to support and work with those groups doing so like the Scottish Wild Land Group, John Muir Trust and Mountaineering Council of Scotland. There are already turbines that should be removed as soon as possible, such as those above Glen Moriston. You're right about Glen Moriston. I was up Mam Sodhail and the four Munros at Glen Affric back in April. God's country all around me, then you look dead South and it was just such an eyesore. And you see it from just about any hill above Glen Spey. How it ever got approved I'll never know. But now, with the change in the planning laws (not sure if they only affect England or if Scotland is included too), the default position will be "approval" and I wonder how much those organisations will be able to do. And yet fight on one must.